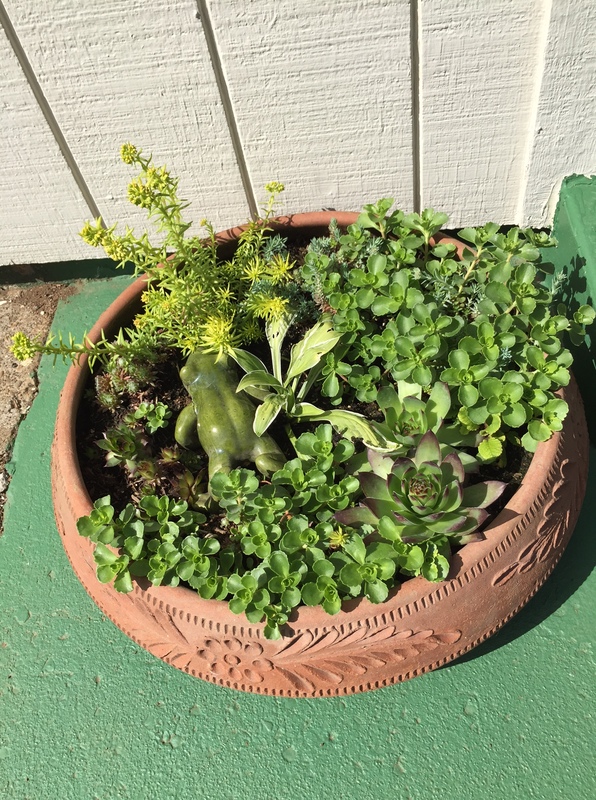 My mother-in-law made me a pot of sedum plants, using a pot she salvaged from our old house. Although I did not recognize the frog immediately, Rob informed me it was in our birdbath at the old house. Who knew? Anyway, the pot is lovely and I am thankful to have it. 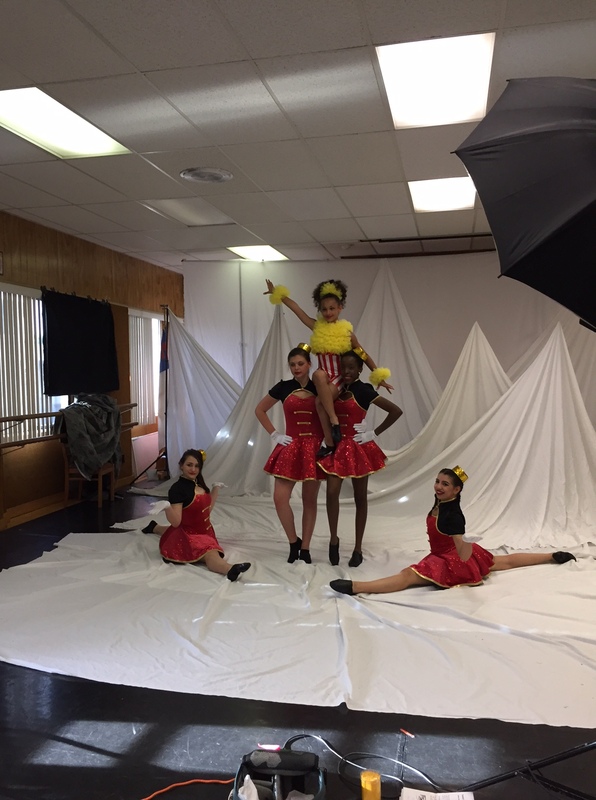 It was dance recital week! We returned from camping on Monday. Tuesday, dress rehearsals started. Patsy needed to go Tuesday and Thursday. Ja’Ana on Wednesday and Friday. The show was on Saturday. It was wonderful. We loved how tasteful and interesting the dances and costumes were. When you start at a new studio, you just never know. Since we have so many daughters, and have moved several times over the years, this is our 7th studio, and our first recital with this group. Trust me, over the years, we have seen it all!! So, what a pleasant experience last night’s recital was. It was especially fun to see Ja’Ana take up tap again this year. 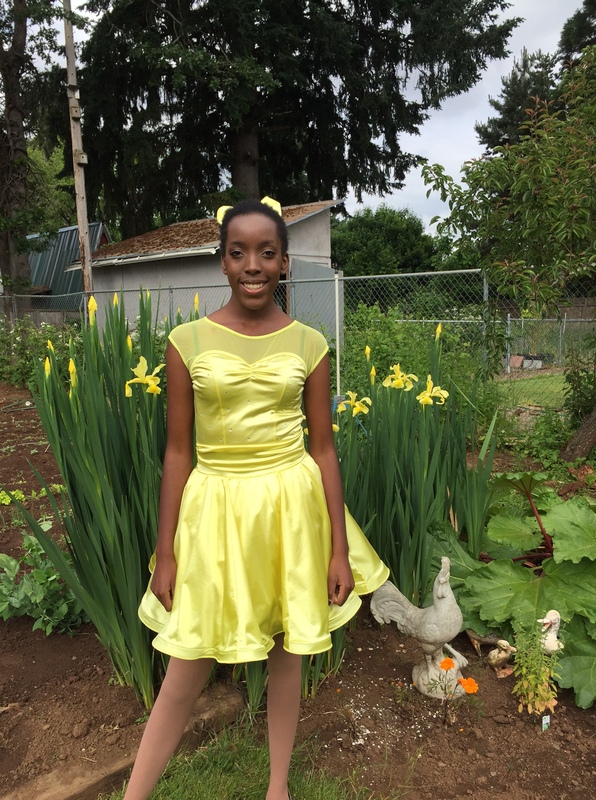 She loved her lyrical class last year, but she really wanted to go back to tap because it is her absolute favorite. So, when we moved here, tap was an option, and she signed up. Because it had been a while, she was required to take the very lowest class with little kids in it at first. After a month or 2, she was moved up with the older class because it came back to her. We are very thankful to the YMCA for the scholarships they gave the girls for this year. When we started, Rob did not have a job at all, so our dance payments have been very low for this entire season. I think that we will still qualify for a scholarship next year, due to the amount we bring in, but it may not be the highest level scholarship like it was this year. That is fine! We are so grateful that the girls could dance this year. It is especially meaningful to Ja’Ana. During this exceptionally busy week, we were somehow able to cook meals and eat at home for the evening meals. Now, mind you, it wasn’t really great food sometimes, but still…..think hot dogs and beans, peanut butter sandwiches, etc. The one day I had to cave in and buy something was at lunch Thursday–I unexpectedly needed to pick Michaela up from school as she wasn’t well, and then drive for a couple of hours to do an errand I was not expecting. So, the homeschooled girls were good sports and brought their school along and the day wasn’t a total bust. I grabbed some fast food, and let them eat in a park while working on science. It worked. 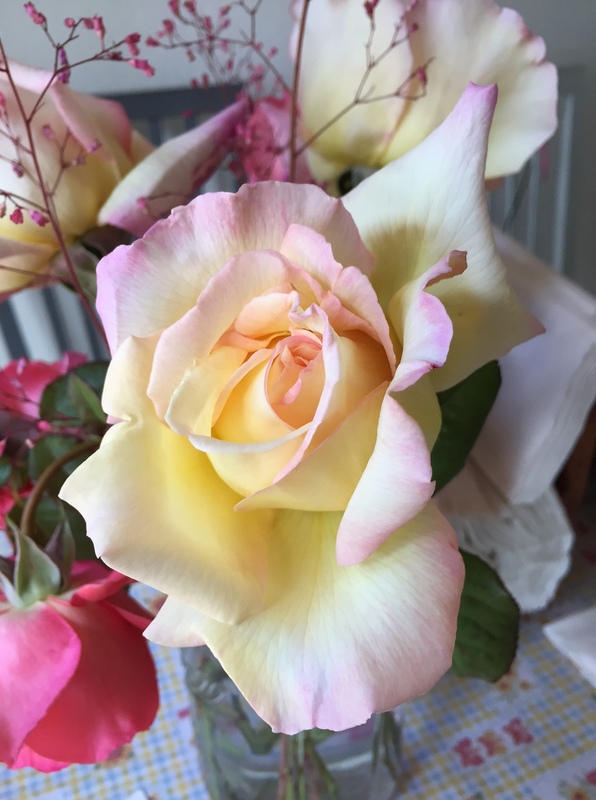 I picked some roses from the yard and have been enjoying them on the table. We helped today with a fundraiser for the youth group mission trip. A restaurant owner donated pulled pork sandwiches, bbq-d chicken, and ribs, along with sides. The teens waited on the church members who chose to eat the meal, took their orders and took away the dirty plates, etc. The restaurant owner brought a crew who served up the food. My husband was delighted to be able to help cut up ribs, and otherwise help with that part in the kitchen. He loves anything to do with barbecue! He also loved getting to know the restaurant owner during their time in the kitchen. We are not the main youth workers, but are helping occasionally with events and things. Last summer, we helped cook at camp, and we have some events lined up to help with this coming summer. There’s always plenty to do, I’ve noticed! The teens raised close to $5,000. Wow! We were delighted to be a part of such a worthwhile endeavor. Ja’Ana continued to clean house the past 2 Fridays to continue earning money for camp and the mission trip. She also went on a hike Monday with the youth group and had earned enough money that her “account” covered her fees for that too–both gas and lunch! It is sure helping us because she would have to miss activities if we had to pay for it all. And, she is learning a lot, too. I also did many normal things that I always do–work on the garden and flowerbeds, work, cook, clean a little bit (not enough at ALL), and I kept my grocery shopping minimal. I had enough groceries left over from camping that I didn’t even need to buy a thing until yesterday. I found a $10/off $50 coupon for Safeway, plus loaded some coupons on my Safeway card, and bought the food I needed. I also bought laundry detergent and razors for Rob to make sure I went over the $50 mark with things I truly needed. I am feeling like I need to continue cleaning out things from the freezers and pantry. I have not concentrated on that very hard since January, and feel it’s time for another big push since the garden is growing so nicely. I’ve got to make room for fresh fruits and veggies! Beautiful recital costumes! Glad your recital went well. Ours did too, though it is always a bit of a stressful day with the hair, makeup, and worries about whether we really have EVERYTHING! The recital was super long, and my mom treated us to dinner afterward. Like you, we are at home all week. Not the world’s most inspired meals, but it worked! It’s nice Rob was able to enjoy some fellowship with the restaurant owner while the youth group took orders. Take a deep breath–we got through last week! I will say that recital week was so much easier than it has been in the past. Having Ja’Ana be 16 makes such a difference. Both girls can put on their own make-up, etc. and it is amazing. I was the parent helper for Patsy’s group one night, but they did not even need helpers at all for any of Ja’Ana’s because the girls are so old. Quite a difference from when she was little! The recital lasted 3 hours here. By that time, Grandma was itching to get on her way home, as were the aunties and cousins that attended, since it was 9pm by that time, with a big, busy Sunday ahead. So, we just went home and didn’t go out this time, but it would have been fun. I’m glad you got to go to dinner, and that yours went well, also! Ours was 2 hrs and 45 hot minutes!! This sounds like a busy, wonderful week. I love the tasteful dance costumes. Thank you. I was SO pleased with the costumes and the choreography as well! You are blessed with such beautiful girls! I am glad it all went so well. The girls look lovely and the costumes are amazing. 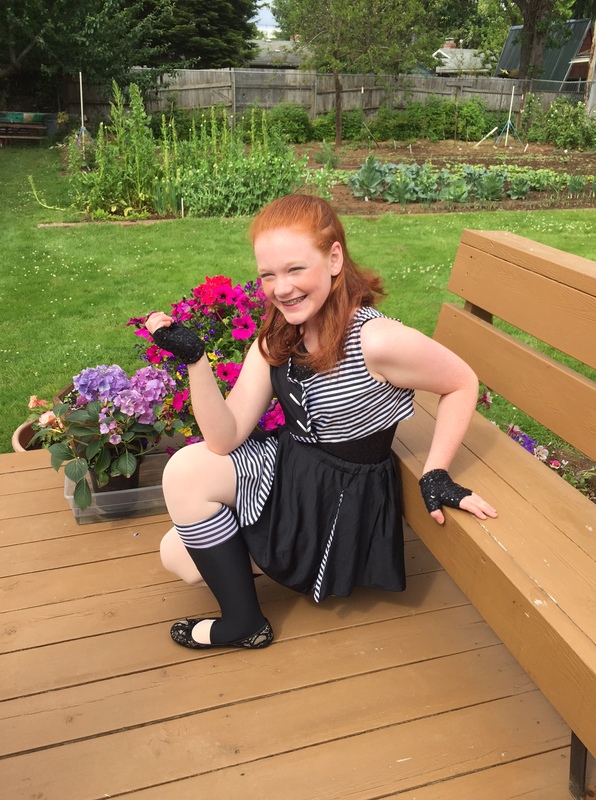 I have a great niece who is in dance competitions and they do a great job on their costuming as well but man have I seen some with other dance groups costumes that I feel are totally inappropriate for young girls and teens. That planter is so cute and it was sweet of your MIL to make it for you. 🙂 Those roses are gorgeous too. I would love to be able to make bouquets of flowers to bring into the house but Doofy views them all as “treat” for him to munch on and then knock over when he does not like how they taste. Such is life with our psycho kitty. LOL! How lovely to plan for a freezer/canning shelf full of fresh food. Proud of you guys. I must compliment the girls on their costumes. Each year I attend many dance recitals and am often saddened to see the skimpy costumes on the girls. It seems teaching a young girl modesty is almost a lost art these days. You appear to be doing a wonderful job. I will say that I had no idea what the costumes would be. Usually, when we start at a new studio, I try to check them out before-hand to see what kind of recitals they do–there is such a wide variance in style, etc. This time, I got to look at the pictures on the wall from last year’s recital. That’s it!!! So, I was really hoping and praying that the dances and costumes were what I could agree with. I really had no options. With Rob still unemployed, the Y was the only place we could afford because they graciously offered us a hefty scholarship. Because it was so important to Ja’Ana to continue dancing, we took the chance. Thank goodness, it truly must be the FAMILY YMCA! The whole show ended up being very family friendly. Whew!! !